Supporting organizations and causes you feel strongly about can be very satisfying. But being asked for money by too many organizations also may end up leaving you feeling resentful. So how do you put the joy back into charitable giving? 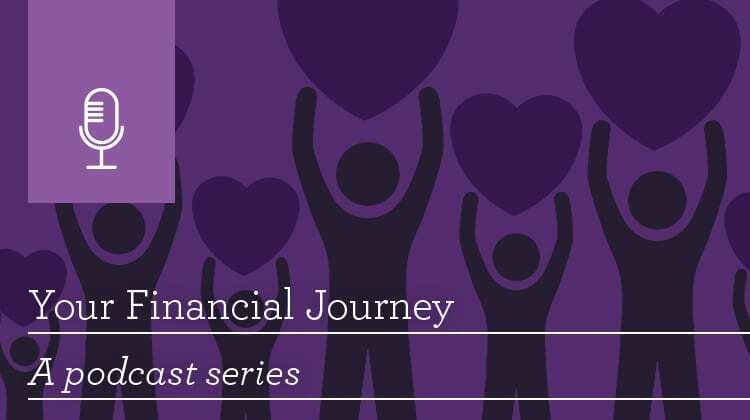 I’m Dave Specht, the Family Dynamics National Development Manager for Wells Fargo Private Bank, and I’m your host for “Your Financial Journey,” a podcast series that explores questions families of wealth commonly face. Today, I’m joined by Beth Renner, National Director of Wells Fargo’s Philanthropic Services. Beth, what advice do you have for well-meaning individuals who find the constant pressure from requests for donations overwhelming? With that in mind, many successful families establish guidelines for charitable giving. These guidelines create an expectation for the amount and the timing of their gifts. This more strategic approach can take the pressure off of family members who are constantly asked to make donations. In addition, the structure for administering the gifts relieves stress because family members now have a story and process to share with those requesting donations. So just to reiterate the first key is to understand the need for a strategy and then create it. So, what’s next? The second is to establish a mechanism for people to solicit gifts. One best practice many families use to manage solicitations is to put in place a formal process, such as a grant application. When family members can point to a process, it helps them avoid having to say “no” directly and in the moment. That does seem like it could alleviate pressure. So, after putting a formal process in place, what’s the third action you would suggest, Beth? So here’s another idea. I would suggest making giving personal by becoming involved with the organizations you want to help. So in other words, we suggest families give their time as well as their financial resources to help make the greatest impact. One way to do this is by focusing your giving on those organizations in which you can actively participate. Establish clear guidelines for your charitable giving that sets expectations for the amount and timing of your donations. Establish a mechanism to solicit gifts such as a grant application. Make giving personal by investing time with the organizations you want to help. I think those are great tips. To learn more about how Wells Fargo’s Philanthropic services or Family Dynamics Team can help you, contact your relationship manager. Thanks, Beth, for sharing your expertise, and thank you, listeners, for joining this podcast. Listen to other recent podcasts on our site. 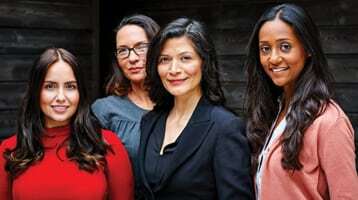 Women are a driving force behind charitable giving and philanthropic efforts. Wells Fargo & Company and its affiliates do not provide legal advice. Wells Fargo Advisors is not a legal or tax advisor. Please consult your tax and legal advisors to determine how this information may apply to your own situation. Whether any planned tax result is realized by you depends on the specific facts of your own situation at the time your taxes are prepared.